how to automate WordPress backups to Dropbox your account. Navigate to Settings tab in order to set up the plugin. 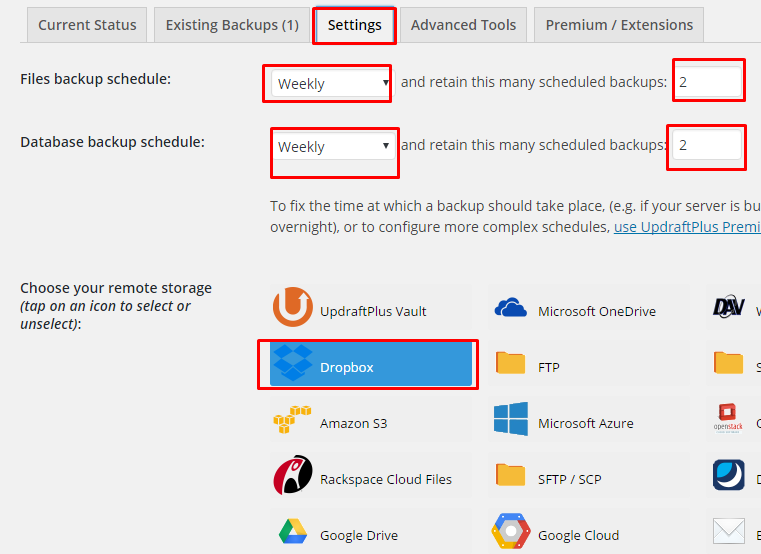 Backup schedule sections describe how often backups are taken. Choose weekly in order to make backups every 7 days. A number near retain this many scheduled backups defines how many recent backups to keep. Chose 2-3. 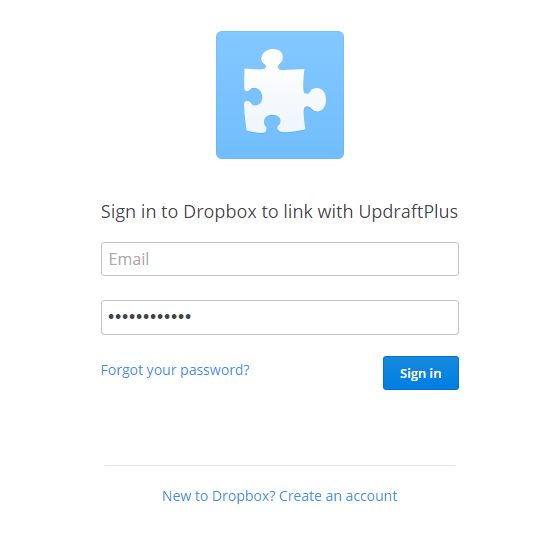 Keep in mind that larger number requires more space in your Dropbox account. Finally, highlight Dropbox logo to set it as the destination for the backups. 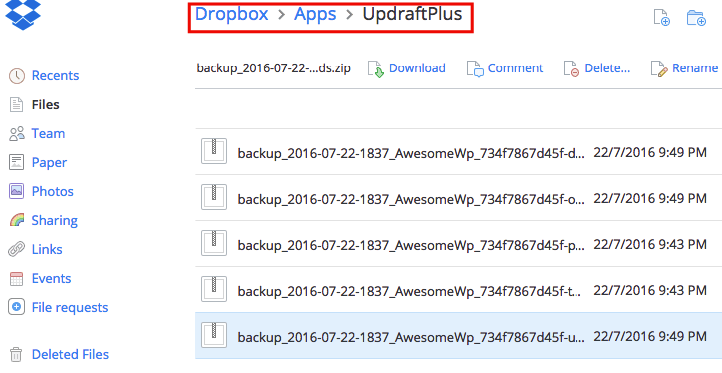 Now you know how to set up periodic WordPress backups and automatically send them to your Dropbox account. the backup process by choosing what to backup and how often.